Mini Panel: 8-way to 32-way. Standard Panel: 48-way to 64-way. Large Panel: 80-way to 128-way. 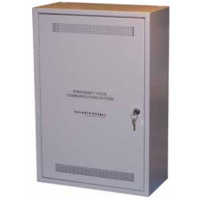 Typically fitted in the Building Management, Security Control or Fire Control Room area's of a Building. 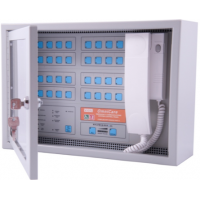 Receives Call or Occupancy signals from the remote units. Can be Surface or flush mountable. Battery box - houses one pair of BY40 batteries. 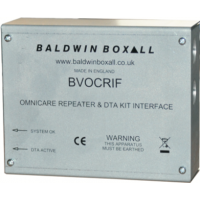 (BVOBATT is supplied with BVOC48 master panel.) .. 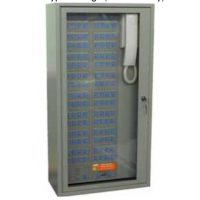 Battery box - houses one pair of BY60 or BY90batteries. 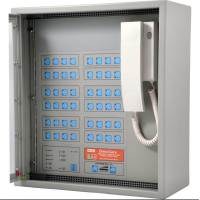 (BVOBATT2 is supplied with BVOC64/80/96 m..
112-way Large master console. Dimensions 410 mm (W) x 777 mm (H) x 200 mm (D). ..
127-way Large master console. Dimensions 410 mm (W) x 777 mm (H) x 200 mm (D). ..
16-way MINI master console. Dimensions 410 mm (W) x 290 mm (H) x 200 mm (D). ..
32-way MINI master console. Dimensions 410 mm (W) x 290 mm (H) x 200 mm (D). ..
48-way Standard master console. Dimensions 410 mm (W) x 455 mm (H) x 200 mm (D). ..
4-way MINI master console. Dimensions 410 mm (W) x 290 mm (H) x 200 mm (D). ..
64-way Standard master console. Dimensions 410 mm (W) x 455 mm (H) x 200 mm (D). ..
80-way Large master console. Dimensions 410 mm (W) x 777 mm (H) x 200 mm (D). ..
8-way MINI master console. Dimensions 410 mm (W) x 290 mm (H) x 200 mm (D). ..
96-way Large master console. Dimensions 410 mm (W) x 777 mm (H) x 200 mm (D). 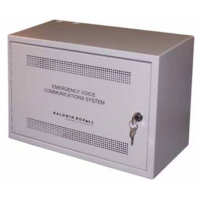 ..
Repeater Unit Enables connection of 3-part toilet alarm kit to the emergency Intercommuni..